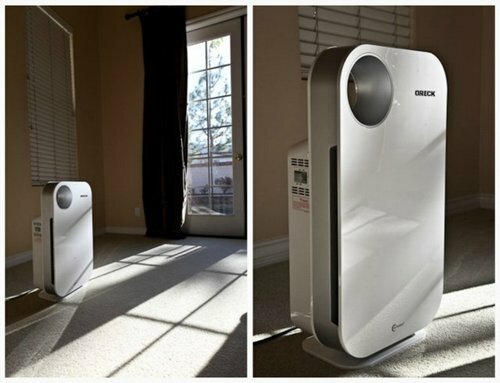 Best Air Purifier for Dust • The Air Geeks, reviews of air conditioners, dehumidifiers and air purifiers. What is the best Air Purifier for Dust? Why do you need and air purifier for dust? Where should I place my air purifier for dust? Which is the best filtration mechanism for capturing dust particles? What are the indicators that I need a purifier for dust in my home? How does an air purifier help to contain health problems related to dust? 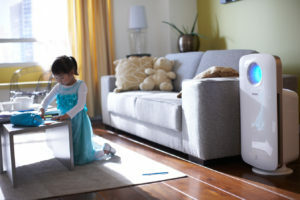 What is the ideal size of an air purifier for dust? How can I contain the noise produced by an air purifier? How many air purifiers are ideal for my home? Is maintenance of the filters worth it? How much will it cost me to replace and maintain the filters? Should I keep my air purifier for dust running the whole day? What is ACH and what is the ideal rating for optimal performance? Why? Well, this purifier combines all the necessary layers to fight airborne particles such as pet dander, mildew, pollutants or simple dirt, and is more silent and efficient than the competition. A perfect pick for dust reduction. Aww dust… The most dreaded element of the house for everyone mildly allergic to anything. Because it carries many sorts of pollutants, including animal dander, sand, insect waste, flour (from the kitchen), and of course lots of good, old-fashioned dirt, dust in the house is a cocktail that is very prone to host allergens, pollution, and general elements you would not want to breathe. 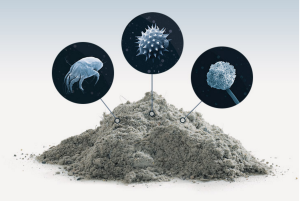 Dust hosts insect waste, pollutants, dead skin. Well, the good news is : you can get rid of dust in the air by filtering it out and remove its presence thanks to air purifiers for dust. However, one has to choose wisely the best air purifier for dust, because dust is a strange cocktail of different elements that requires different filtering when they are airborne. The presence of HEPA filters. Airborne particles due to pets in a house are mostly proteins that are close to 0.3 microns in size. Catching these proteins requires an advanced form of filtering that only HEPA filters provide for domestic air purifiers. The presence of enhanced activated carbon filter. It will remove or help significantly reduce stubborn pet odors that remain suspended in the air. While the best air purifier for dust will not be able to remove dander and pollutants that already gathered on the floor it is, in conjunction with thorough floor cleaning, an excellent step to stop allergens and dust from flying free. This location depends on the room in which you spend much of your time. Most people spend most of their time in the bedroom while sleeping and thus this is the ideal place to fit the air purifier. In other cases, some have home offices where they spend at least six hours in a day. To strike a balance, you should purchase a portable air purifier that you can quickly move from one room to the next to ensure that you are not exposed to dust particles that can have adverse effects on your health. The main types of air filters include HEPA, Carbon, and Pre-filters. High-Efficiency Particulate Air filters; abbreviated as HEPA, are the most effective filters for capturing dust particles. Research indicates that these filters can remove up to 99.97% of dust particles from the air in your space. 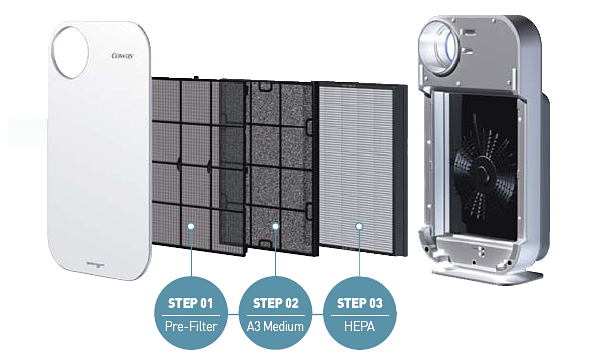 When combined with pre-filters, HEPA air purifiers can function optimally. The pre-filter helps to extend the life of other filters. Dust particles vary in size and it is not easy to detect small particles. Then how can you determine that there is dust when you cannot see it? Dust in your home can cause breathing problems and excessive sneezing. When confronted with such difficulties, you should visit your personal physician. In most cases, dust is the main cause of sneezing and breathing problems. It is advisable to invest in a good air purifier for dust if you have been experiencing the problems. Correct usage of an air purifier for dust can help to prevent lung diseases and sneezing. The extent to which dust affects individuals varies from one person to another depending on their immune systems. Getting a good unit will reduce the amount of time that you spend on the hospital halls or with your personal doctor. Air purifiers come in different sizes. It is worth noting that most manufacturers recommend the most suitable unit depending on the size of your room in square feet. Another important consideration is the Cubic Feet per Minute; abbreviated as CFM. 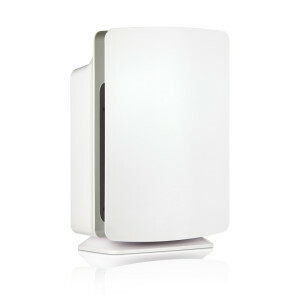 The best air purifier for dust will protect everyone in the home! This measurement provides you with the number of cubic meters of air that passes through the air purifier every minute. If you are looking for a highly effective air purifier, then you should go for a high CFM unit. Other factors that may impact on the effectiveness of the unit include the room’s furniture, insulation, and airflow in the room. The noise generated by an air purifier is dependent on a many factors including model, size, noise tolerance and usage. The first thing that you need to consider is your level of noise tolerance as this varies from one individual to another. When considering usage, this will depend on the operating speed of this equipment. Fans produce more noise when operating at maximum speed as compared to when running on lowest speed. The number of units to use in your home will be dependent on some factors such as the size of your house and the environment. If you have a large living room and the quality of air is low, then you can have an air purifier in each corner. In an atmosphere with little dust contamination, you can install just one unit. Maintaining an air purifier for dust is a must for it to deliver optimum performance. The maintenance approach applied will be determined by the model of the unit and the guidelines given by the manufacturer. Some models feature permanent filters while others will come with replaceable ones which are changed at least twice every year. It is advisable to consult the manufacturer when something is not clear. Some air purifiers have indicators that alert you to change or clean the filters for the unit to continue functioning as expected. The cost of filters mainly depends on model of your air purifier. Most of the HEPA filters cannot be washed and are replaced after the recommended time lapses. For the replaceable filters, these may be a bit expensive when compared to the washables. The cost of maintaining filters is also dependent on how the filters should be cleaned. If you can clean them on your own, then the cost can be lower. Before you decide to allow your unit to run throughout, you should consider its power consumption and the quality of air in your room. It is advisable to keep the air purifier running for twenty-four hours a day although it may prove to be expensive especially if its power consumption is high. To prevent a big impact on your electricity bill, you can set the unit to operate at a lower speed when your room is unoccupied and at higher speeds when the space is occupied. It is advisable to keep the air purifier fully operational for the best results. Air Changes per Hour; abbreviated as ACH, is a measure of the number of times the air is filtered or changed within a particular room per hour.